The Live Action TV Drama is the latest of Watase's series to jump off of the paper and into a different entertainment format. The series is 11 episodes long, airing on Fuji TV from April to June of 2008. And in spring of 2009, a two hour special was aired, following the events of the finale. The Live Drama, is not exactly the same as the manga by Watase, the characters are no longer high school students, but rather young adults just getting into their careers. Riiko is now 23 (as apposed to 16 in the manga) and Soshi, is no longer the boy next door that has cared for her all their lives. Instead he is now heir to the large Asamoto pastry company, and is quite the rebel. (nothing like the Shoshi we know from the manga). Riiko, and Soish (now Riiko's boss) for a relationship from their desire to create a new product for the company. Nights role, despite the changes, is still the same, and actor Hayami Mokomichi, does a pretty good job portraying the simple Night, who only wants to please Riiko. He may seem too robotic at times, but he kept the essential part of the character, that is his devotion to Riiko. This is a cute series that ended to soon, if you can view this as something separate from the manga you will enjoy it greatly. 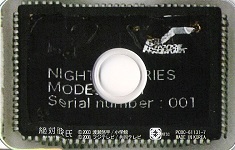 Using the navigation to your left, you can access information on the DVD release, and its soundtracks. 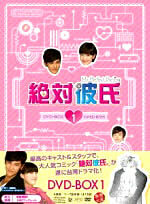 In Spring of 2012, a Taiwanese Drama of Zettai Kareshi was released called Absolute Darling. This time the series (13 episodes long) follows the manga a lot more closely than the original Japanese drama. The series was produced by GTV and produced by Wang Zin Gui. Actor, and boy band member of Fahrenheit, Jiro Wang played the lead role of Night in the series! This series is highly enjoyable, and so cute! Below is a guide/list of all 11 episodes of the Japanese Drama! Below is a guide/list of all 13 episodes of the Taiwanese Drama! 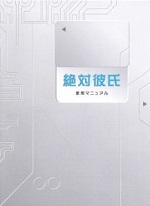 The Zettai Kareshi live TV Drama was released towards the end of 2008 on a mega DVD collectors set. 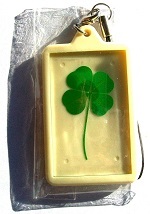 If you were lucky enough to get your hands on the first press edition, you not only got the oodles of DVD content released on the standard set, but you also got a DVD ROM, 15 page booklet, and key chain. 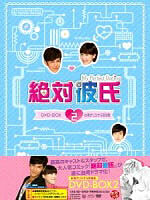 Below you can find information on both the Japanese and Taiwanese DVD releases.